Today Nico is able to help with little everyday things, and with time has learnt to show what he likes and what he definitely doesn’t like. He makes sounds and can say „Mama“ and „Papa“ quite clearly and consciously. His good spirits are contagious to everyone. He also understands how to pull someone’s leg, a real joker! We have been able to convince doctors of the effects of this therapy, as they can also see how Nico is gradually developing and how happy and content he is after each therapy. Today we can say thank you to all who have supported us during the past six years. 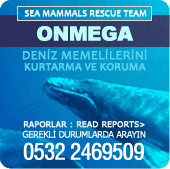 First and foremost we thank the Onmega Dolphin Therapy Centre in Marmaris, which has had Nico as a therapy child for the past five years. A very special thank you to Barbara Dietrich, who conducted therapy for Nico for five years and with great success! We thank the Dolphin Human Therapy Centre in Florida, who showed a lot of patience and understanding at Nico’s first therapy! We thank everyone who have been at our side over the past 6 years, many kind people, family, friends and acquaintances who shared the happy and sad times with us. We thank everyone who were always trying to collect donations for Nico to enable his next therapy. We thank all the societies and organizations that have helped us over the years with donations and without whom this would never have been possible! We thank dear God for Nico!